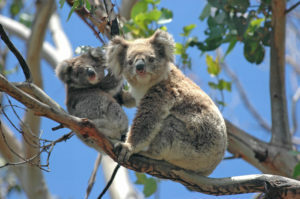 Australia’s biggest attraction is its natural beauty. The landscape varies from endless sunbaked horizons to dense tropical rainforest to chilly southern beaches. Scattered along the coasts, its cities blend a European enthusiasm for art and food with a laid-back love of sport and the outdoors. The unimaginable vastness of the country gives Australia – and its diverse population – much of its character. In cities, visitors will experience a blur of fashion boutiques and crowded restaurants. In the interior, they will hear the thump of rocks under their 4WD, only to be followed by a slow, silent swirl of outback dust. Around the coast, they’ll take in the depths of a rainforest, then slowly realize they have an entire beach to themselves.